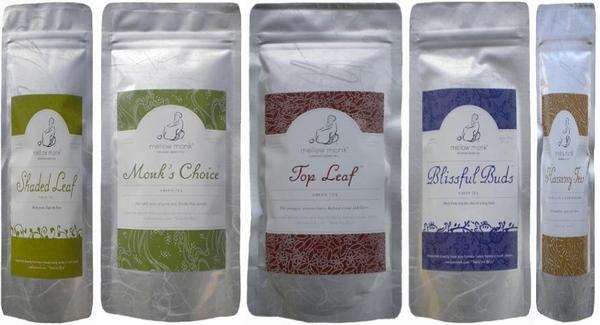 We have finally finished the transition to our new tea packets. They are resealable, to preserve our wonderful tea's freshness without the unmellow hassle of transferring the tea to another container. Plus, the new packet is the kind that stands up on its own, taking up less counter space (or desk space) and letting the little monk on the label keep you company. A screen capture of our virtual carousel.